don@vernonrealestate.com Don is one of the few active realtors who was a founding member of RE/MAX way back in 1988 and has consistently been a top producer ever since. 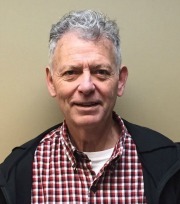 Although technically not “old” he could be described as “very experienced” with approximately 30 years of Vernon and area real estate experience. 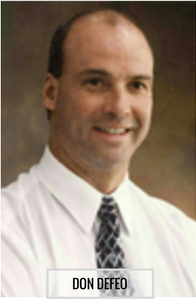 Don’s hard work ethic and commitment to customer service evolved his real estate business from busy realtor, to busy realtor with assistant(s), to the present team structure to better serve the needs of buyers and sellers while still providing personalized service. When not assisting clients with their real estate needs Don can usually be found either at home or at Silver Star with wife Sue and children Jacob, Leah, Sarah and Crystal (Landon and Penelope). Although client and family needs dominate the majority of Don's time he has been known to “knock off” the odd time for some water sports, snow sports, or other recreation. karen@vernonrealestate.com When you call Karen, you can be guaranteed that you will receive her undivided personal attention to all of your real estate needs. 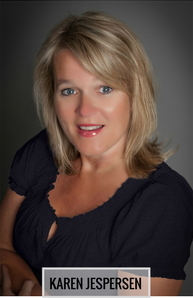 Karen began her real estate career after a successful career in the financial industry. She has spent the past 26 years in the Vernon area, raising four children, helping husband Glenn build a successful contracting business and enjoying the Okanagan “lifestyle.” When not in the office or showing homes, Karen spends her time staying active with cycling, swimming and other outdoor activities. Karen promises to deliver confidential, dedicated and reliable service to all her clients and understands that your family needs are important and would consider it an honor to work with you. robin@vernonrealestate.com Robin moved to Vernon 24 years ago to spend one ski season in BC and never left. He immediately fell in love with everything the Okanagan has to offer and knew this was the place he wanted to call home. With his wife Jacquie and three kids Jacob, Emma, and Claire, Robin is always on the move skiing, watching the kids play their sports, and going camping, hiking, or golfing. 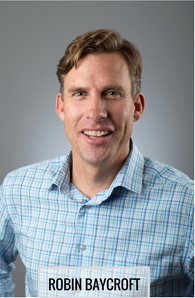 His successful career in tourism at Silver Star Mountain has given him an excellent grasp of working with people in a customer first approach and he is up to date with the fast moving world of social media sales and marketing. Robin is well known in the Vernon community to be a hard working and outgoing individual with a passion for helping people. You can be confident that Robin will be committed to helping you achieve your goals and dreams when buying or selling your next home. landon@vernonrealestate.com Landon is the latest realtor to join the Defeo Associates team and the perfect choice for younger and tech savvy clients. Like many others, Landon chose to relocate to Vernon for the lifestyle and all the other benefits of the Okanagan. Granted he may have been influenced by wife Crystal (Don's daughter), who was born and raised in Vernon and with the addition of their daughter Penelope, decided it was time to “pull the plug” on the lower mainland and establish their root here. Landon brings 15 years of experience as a digital artist in the film industry and has a keen eye for design and aesthetics. Landon has a strong work ethic, a sincere approach to serve and is excited in innovating the current and proven procedures of the Defeo and Associates team with new and fresh ways to help you market your property, or find your dream home whatever it is you're looking for! 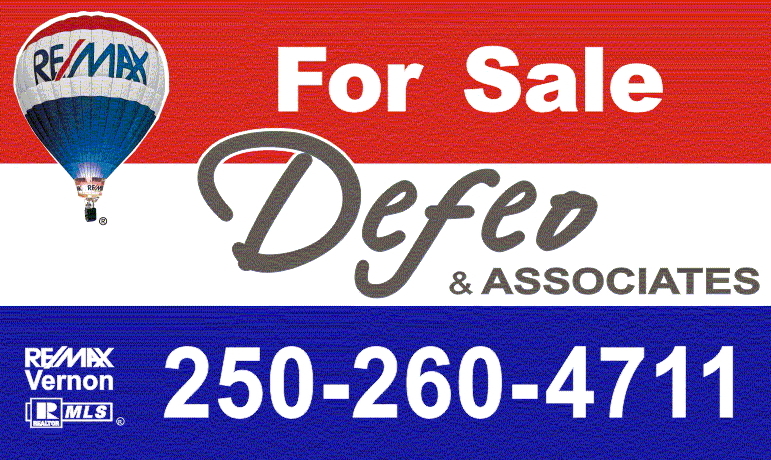 The Defeo and Associates Customer Courtesy Van is available to all current and past clients absolutely free of charge. 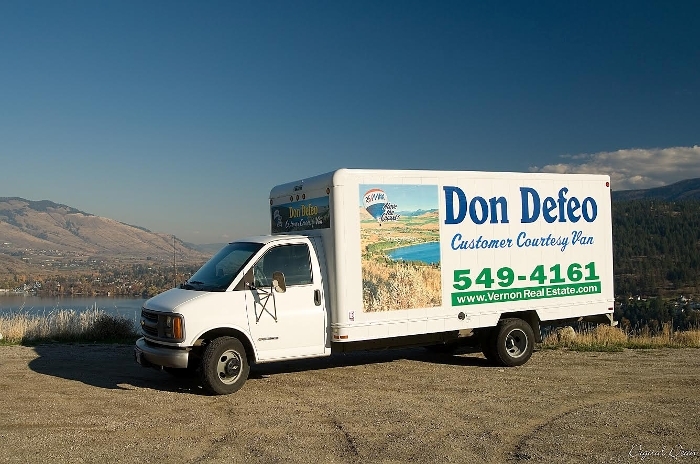 It is perfect for most local and short distance moves, or just running errands and deliveries in the North Okanagan . We recruited this valuable team member in 2003 after it experienced an unfortunate corporate downsizing from Budget and has been a reliable star performer ever since. It is an easy to drive 16’ cube van with automatic transmission, gas engine, 16’ flat surface box, extendable ramp, box dolly, and appliance dolly. Although free of charge, clients are required to pay their own fuel and any damage. Bookings are on a first come policy. Tipping is discouraged but is allowed in special circumstances. The Defeo and Associates Customer Courtesy Van is also available to clients in good standing any time after their move and also to charities, schools, civic groups, and other community groups. A huge benefit of the Don Defeo Realty Team is the synergy, professionalism, enthusiasm and experience of one of the larger teams at ReMax Vernon. 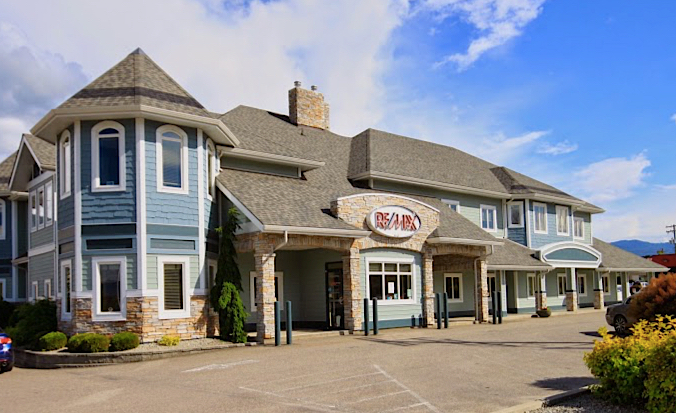 Approximately 60 licensed realtors, 30 administrative assistants and 6 support staff contribute to make ReMax the perennial powerhouse in the North Okanagan. Although approximately 280 realtors work the North Okanagan area, ReMax consistently represents approximately one half of all the sellers and one half of all the buyers. If you have a real estate experience, chances are your home will be sold by a ReMax agent or you will buy a ReMax listing (or both). If you have not yet picked your real estate brokerage yet, no one has more homes for sale, more buyers looking for homes, more experience, and more sales. RE/MAX is your only logical choice. The sale and purchase of real estate is much more complex and specialized than ever before. At Defeo and Associates we strive and pride ourselves in providing our clients with the most comprehensive and accurate information and the most professional and competent advice... but we can not do it alone. Over the years we have developed deep and valued relationships with others that are also the best in their respected industries. If you already have relationships with the required professionals to help you through the sales process, that is terrific. If not, we would highly recommend the following. info@cknotary.com Chelsea has evolved into a perennial powerhouse for North Okanagan real estate conveyance and our choice and recommendation for the notary work for your real estate transaction. Chelsea is a 27 year resident of Vernon and after a graduating at UVic came back to the Okanagan and joined the Remax and the Defeo and Associates team, firstly in an administrative role and then as a licensed realtor. During her successful and award winning sales career, Chelsea completed her SFU masters degree in Applied Legal Studies and joined the Society of Notary Public of British Columbia before taking over a well established notary business. Chelsea knows both sides of the real estate transactions and will look after your real estate purchase or sale with the trust, confidence and experience to handle any of the multitude of issues that can sidetrack a transaction. Sue Defeo, Insurance Broker, Johnston Meier Insurance Office:250-545-5311 sue.defeo@jmins.com Sue is the other half or perhaps the better half of Don Defeo of the Defeo and Associates team. 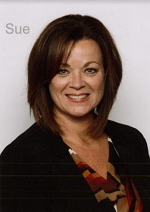 After an administrative role at Kal Tire, Sue joined Don Defeo as a real estate assistant in the 1990's. After marrying Don in 1999 and time off with children Leah and Jacob, Sue came back to the insurance side of the business and grew and developed into her current role as manager of the personal lines division of Johnston Meier Insurance. Sue's friendly and professional “service-based” approach, backed with years of knowledge and experience, allows her to provide informative and competitive quotes in a timely matter that matches your contract needs. Although Sue specializes in residential insurance, she can usually assist you with all your insurance requirements. For home insurance, Sue is your contact. dawns@invis.ca Whether you are purchasing your First Home, Renovating your existing home or buying an Investment home, Dawn is here to help you every step of the way. Dawn has over 39 years of Experience in Financial Services and you can use her first hand experience and knowledge to choose the Mortgage that is right for you! As your Accredited Mortgage Broker, AMP, she is independent of a Bank, Credit Union, Insurer or Lender and has your best interest at heart. In fact, it is her Professional duty to always protect you as the borrower. She has a professional network of Lenders that she works with everyday and can help to find the Mortgage that bests suits your individual needs. And best of all, her Services are Free to you, as she is are compensated by the Lender directly (OAC). jeaniner@telus.net Jeanine is the “go to” inspector for the Defeo and Associates team. 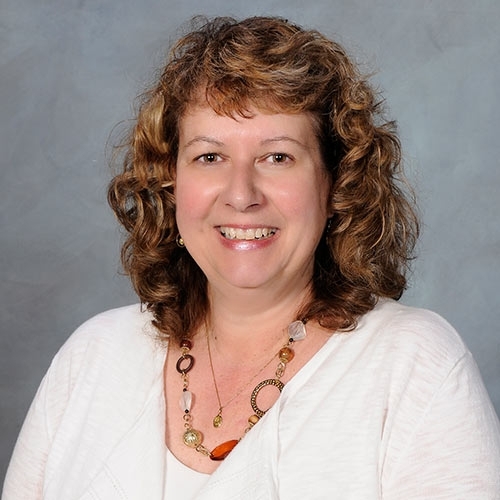 With over 25 years of construction, renovation, and residential and commercial maintenance experience, Jeanine has a strong passion and a can-do mentality for all things home related. 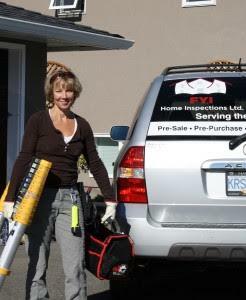 As one of the few licensed female home inspectors, she has a keen interest in helping other women and men learn about their home’s systems and components. 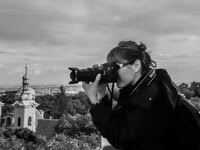 Jeanine will provide you with a fair, independent, and objective evaluation of your home or potential home. She further aims to strengthen your knowledge and raise your confidence by helping you find out what you need to know about the property, leaving you less vulnerable and more proactive when it comes to understanding and taking care of your valuable investment. douglascameron.drawdog@gmail.com Buyers and the Defeo and Associates team LOVE our professional floorplans. Unlike many of our competitors who are too lazy, too cheap or just not competent / professional and then state that the “buyers should verify the dimensions or how large their listing is” we hire Doug to get it right. Doug is a semi-retired architect who now produces accurate and easy to read floorplans. No need to guess at how large your new home may be or guess where the rooms are, which way the views are, layout of bedrooms, flow of the home etc, as we have it all ready for you. Once you get used to viewing professional floorplans it will be hard to do without.